Like so many homeowners, over time they can quickly overwhelm their garages. Before they know it, they desperately need a new garage and boat storage shed especially to park any sporting vehicles or boats. 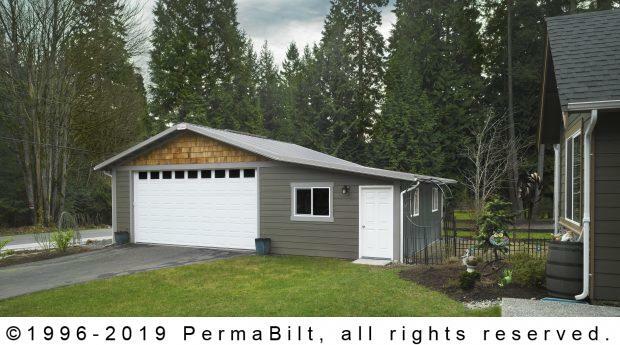 So when our Bothell customer came to us needing a garage (with additional storage space) to park his boat, he looked at PermaBilt® as a possibility. 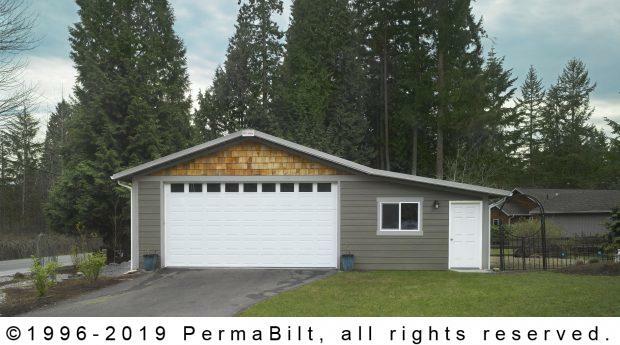 When he met his PermaBilt® Building Representative, they worked on the building design which not only had to have plenty of storage room but needed to match his house. Hearing that we have been in business since 1973 and having built over 21 million square feet, our Bothell customer felt comfortable in picking us to do the job. 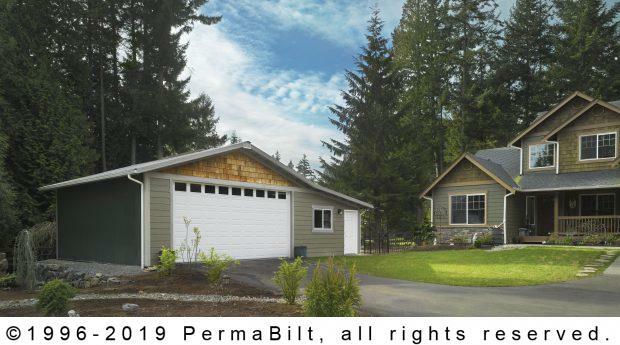 Our client was confident that PermaBilt structures are stronger and able to withstand lifting winds, falling trees and other hazards better than a conventionally framed building. By allowing the roof to move as one piece, our diaphragm design helps PermaBilt buildings keep their lines through year after year of harsh weather conditions. Having us build his new garage and boat storage shed was an easy decision. The customer added a shingled gable treatment to provide some additional flair and to match the style of his house. Once the building site was leveled, our crew came in to start construction. And like every building, it was constructed with nothing but quality in mind. Once his boat storage shed was built, our customer couldn’t wait to move his boat inside before the bad weather hit.